Original Japanese movie poster for the 1957 war, drama directed Akira Kurosawa and starring Toshiro Mifune. 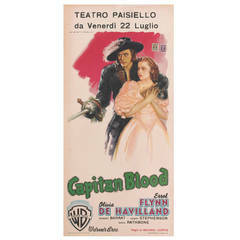 The film is a brilliant adaptation of William Shakespeare's Macbeth. This poster is conservation paper backed and would be shipped flat by Federal Express. Original Belgium movie poster for Norman Foster's 1948 film Noir starring Jane Fontaine, Burt Lancaster. The art work on this poster is unique to the film Belgium release. 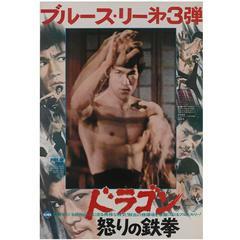 Original Japanese Movie poster for Bruce Lee's 1972 Martial Arts action film. W&A J Johnstone early 20th century anatomical studies of Homo sapiens, lithographically printed in polychromatic colors. Roy Lichtenstein Pop Art Poster of 1961 Painting "Thinking of Him"
Silk screen reproduction of the 1961 Roy Lichtenstein Pop painting-"Thinking of Him" in the collection of the Yale University Art Gallery. Printed 1991. W&AJ Johnstone early 20th century anatomical studies of Homo Sapiens, lithographically printed in polychromatic colors.